About Us: Established on July 6, 1994, EastWest Bank was the first recipient of a commercial banking license after the central monetary authority liberalized banking in the mid-1990s. Its first branch was opened along Sen. Gil Puyat Avenue in Makati City on August 1, 1994. Its name is the result of the bank’s desire to combine the traditional prudence, warmth and hospitality of the East and the efficiency and progressive-thinking of the West. 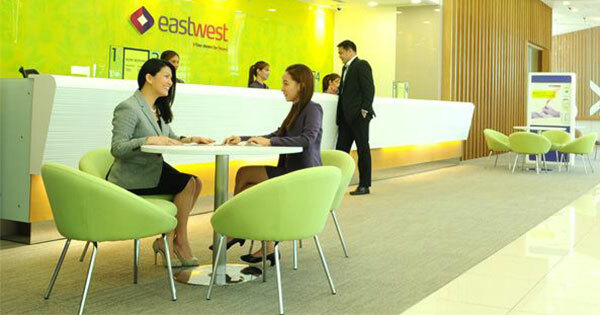 Since then, EastWest Bank has made its presence known in the banking industry through steady growth. The bank offered products and services via traditional and alternative delivery channels, and opened more branches to make banking accessible and convenient for its clients. It later introduced internet banking facility to expand delivery channels for its products and services. EastWest is a subsidiary of the Filinvest Development Corporation (FDC), one of the country’s leading conglomerates, with interests in banking, real estate, hospitality and tourism, power generation and sugar.